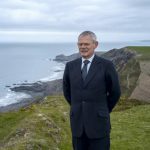 The 5th season of the everyone’s ‘curmudgeonly lovable’ Doc has recently begun to broadcast on public television stations, your home for Doc Martin in the States. FYI, North Texas viewers of KERA can see the premiere of series 5 this coming Saturday, May 5 at 7:00pm CT.
For long-time fans of the Doc Martin series who have waited ever so patiently for new episodes, this news is particularly welcome given the fact that it’s been almost two years since the series was last filmed to allow for series star, Martin Clunes, to concentrate on several drama, factual and comedy projects close to his heart. 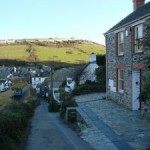 Cast and crew descended on the coast of North Cornwall and the seaside town of Port Isaac back in the Summer of 2011 to begin filming the upcoming 5th season. Martin Clunes spoke with NPR’s Neal Conan during filming to discuss his character, Dr. Martin Ellingham, where he revealed that he finds it quite liberating to play the unlikeable Doc. If you remember, when we last left the Doc, he was making every attempt to overcome his ill-timed phobia to blood and had packed his bags with the thought of taking a consultant’s position at a hospital in London. Unfortunately, his phobia to blood is only topped by his general distaste for people. That was until Luisa gave birth to their son. Torn between his possible return a hospital in London and staying put in Portwenn with Louisa and continue his love/hate relationship with the community that continually shows him unconditional love, bags are unpacked, packed and unpacked again. In season 5, there are definite challenges ahead for the Doc as he is now faced with learning how to cope with being a new dad while trying to resume his bright lights, big city career as a surgeon. 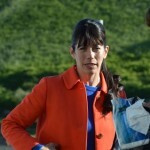 For those immediately panicking over the fact that there are only eight episodes in the 5th and newest season, word has already come out of the UK that season 6 of Doc Martin will begin filming in 2013! When will series 5 of Doc Martin resume? 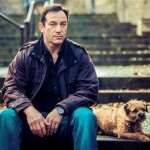 I love this show, cannot wait for series 6. Looking, waiting, hoping, it will be SOON!